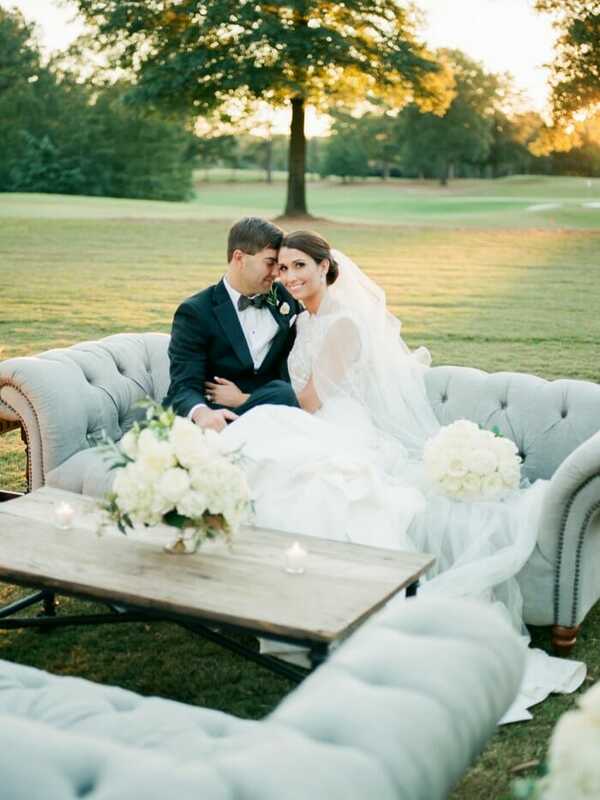 Jenna Florio and Trey Laughrun said “I do” in Charlotte, North Carolina under a clear top tent on the lawn of Quail Hollow Country Club on October 22nd, 2016. The season’s brisk weather, coupled with a Tuscan theme, alluded to the bride’s love of Italy as well as her Italian heritage. 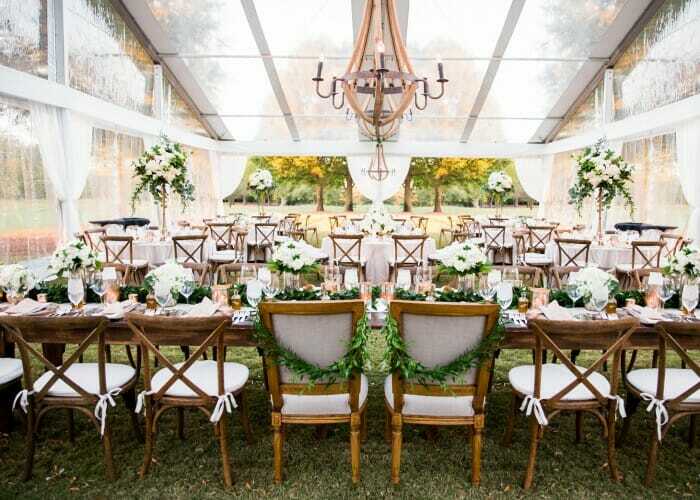 Lush garland draped throughout beautifully contrasted the tent’s elegant fixtures and gave the setting a welcomed European touch. Carolina Herrera’s Josette gown perfectly complemented the wedding’s rustic elegance and fit the bride’s modern, yet timeless, look. On July 18th, 2015 Trey proposed in a small garden, called Wing Haven, in the heart of Charlotte, North Carolina, where we both live. He wanted a place in our city that could be uniquely ours. After preparing me for what I thought was going to be a charity event, Trey whisked me away to the back of the gardens where he got down on one knee and asked me to be his wife. After quietly celebrating just the two of us, Trey had another surprise up his sleeve – he arranged for both of our families to meet us at a restaurant for a private dinner. We later met with our closest friends to continue the celebration. Trey planned the perfect proposal and it will forever be one of my very favorite days. WHAT MADE YOU PICK THIS DRESS? 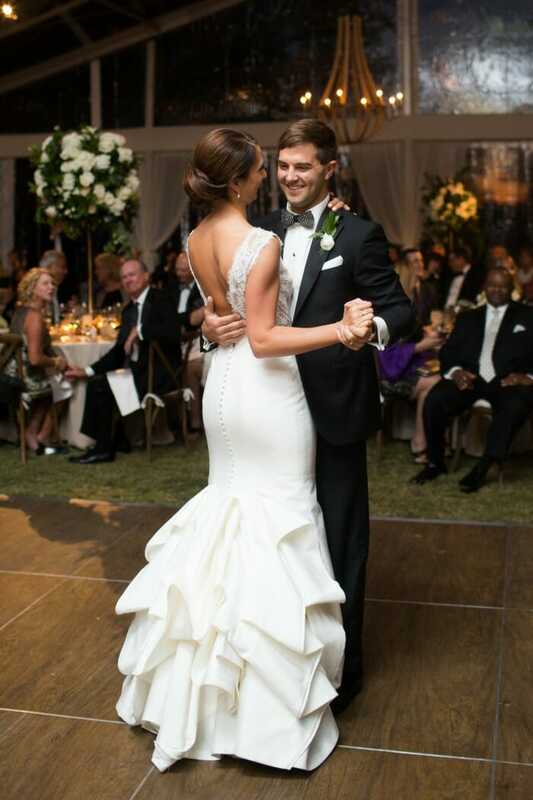 I picked my Carolina Herrera gown because it had a sophisticated elegance about it. It was feminine and unique in a way that would always be timeless. The Josette gown felt like it was made for me. 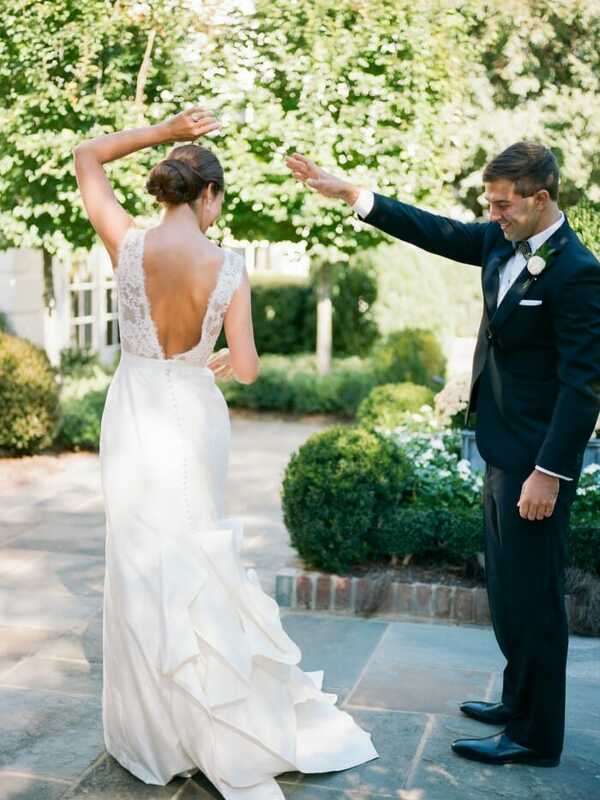 I felt completely myself and I feel so lucky to have been wearing a Carolina Herrera gown on my wedding day. 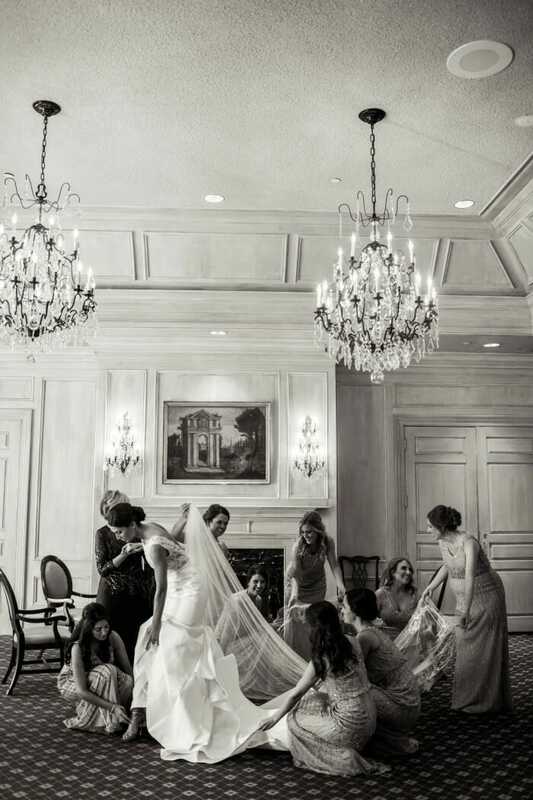 FAVORITE MEMORY OF THE WEDDING? Our first look! This was my favorite part of the day. I wish I could bottle up the emotion and look on Trey’s face when he saw me for the first time. He loved my dress and had me spin for him so he could take it all in. THING YOU’RE LOOKING MOST FORWARD TO ABOUT MARRIED LIFE? The calm after a whirlwind of a year. Trey and I were engaged for 15 months and while we loved every minute of it, there were so many parties and so much planning that we were ready to settle in to married life and the simple things like cooking dinner and enjoying a movie after a long day of work. Wishing all the best to the happy couple!